Have you ever wanted to purchase a book but couldn’t decide? And even with the help of Amazon reviews you still found yourself trying to figure out if your coins would be worth it. Well, that’s where Jazmen Greene and other black book reviewers come in. 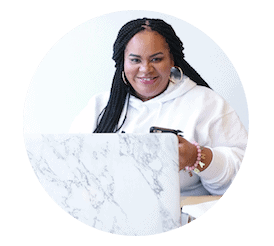 Jazmen Greene is the founder of Literally Black–a one-stop shop to find books authored by people of color. Greene not only posts the books in which she has read she also serves up her honest opinion and gives the book a rating. In black literature, a black book reviewer is very important, many of our stories and authors don’t have the same platforms as our white counterparts. Black book reviewers provide a platform and serve as a voice of authority to get these stories in your kindles and on your TBR lists. Greene and I discussed a wide range of topics, like how does she provide fair reviews if she becomes friendly with an author? Or how does she select what books she’s going to read and review? And the biggest question, how does a black author get their books into the hands of a black reviewer? Listen to the interview below and let me know your thoughts.